For almost seven years, 20th Century Fox sat on the script for Deadpool, scared that it wouldn’t make any money. Now, two weekends after the film’s release, it’s already the highest grossing X-Men movie ever, in terms of domestic, non-adjusted box office—which is the metric everybody uses when they’re talking about hits. As of February 22, Deadpool has grossed almost $236 million in the United States, according to Box Office Mojo. During its entire run, the previous #1 X-film, X-Men: The Last Stand, grossed just over $234 million. Internationally, it’s a bit of a different story. 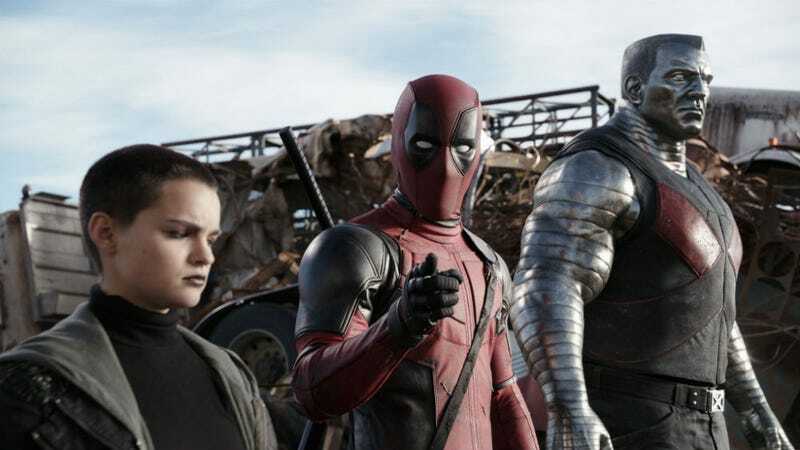 Deadpool is still chasing X-Men: Days of Future Past, which ended with a worldwide gross of about $748 million. Deadpool, in just two weekends, has grossed about $492 million globally. But that’s a R-rated movie that hasn’t opened everywhere across the world just yet. It has a chance to beat that, or at least come close. There’s no overstating how impressive this is on almost every level. The R-rating, the budget concerns, the release date, everything. Plus, it’s not like the other X-Men movies were bombs. Even the lowest grossing one, 2013's The Wolverine, did about $133 million domestically and is getting a sequel. Deadpool almost matched that amount in its first three days. To stand on top of a mountain that contains movies like X2, First Class, and Days of Future Past, is a fate 20th Century Fox probably couldn’t have guessed would happen in the entire life of the film. Let alone its first two weekends. Deadpool is the new king of the X-Men. And, in case you weren’t aware, a sequel is already well underway. It’ll feature another character that was key to Deadpool’s comic book origins, Cable. Finally, if becoming the biggest X-Men movie ever wasn’t enough, it was just a great weekend to be Deadpool. Number one at the box office, and with the seal of approval of some key Avengers. Well, mostly. Too bad we’ll never see those characters have that kind of interaction on the big screen.